Fueled by the passion of three AmeriCorps volunteers, the Knox County Community Action Committee and the City of Knoxville are bringing together a wide variety of community partners, including Keep Knoxville Beautiful to cultivate the Community Nourishment Garden at Tyson Park. This exciting project encompasses their mission’s ideals of Community, Education, Productivity, Sustainability and Beauty by installing and maintaining a charitable garden of fruit trees, berries, and vegetables to directly benefit refugees at Bridge Refugee Settlement Services and community as a whole. The accessible location and undemanding design will be productive at different times of year and rely on volunteer commitment and sponsorship that they hope to gain from more areas of our community. Rain Garden: to improve the water quality of Third Creek by filtering storm water as a model that community members can employ to lessen their household impact on our waterways. To get involved with this landmark project, attend a public committee meeting or get in touch with the organizers listed below. The first public committee meeting is being held tonight! This article from the NY Times describes "crop mobbing," an event in which the "agricurious" and urban wannabes descend on a selected farm to help out with labor. 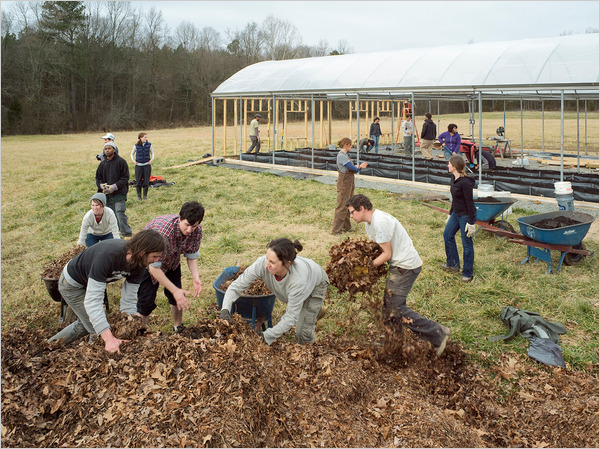 In the photo above (credit: David La Spina, NY Times) the mob helps out at Okfuskee Farm in Silk Hope, N.C. I wonder if some of the local area farms in Knoxville, like Organicism Farms or River Ridge would be down for this? 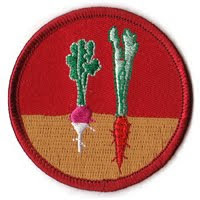 Seems like an apt activity for the Urban Land Scouts. Maybe we could crop mob the field across 4th Ave. from the Birdhouse and put in an orchard? But then we'd have to keep crop mobbing the site for years to keep it up, and it seems part of the event's success is that it is an infrequent and novel action for the urban folks who participate.